We know Mitt Romney was nebulously pro-choice back when he was simply a Massachusetts politician, and that he has been far less so as a presidential primary candidate — though possibly not enough to satisfy the ever-extreme Republican base. Now, via Salon, we know a bit more about the tragic death of his cousin from an illegal abortion, which he has said motivated his position. 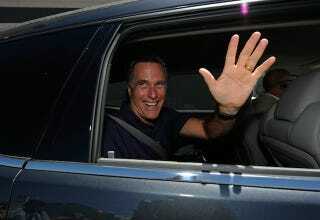 Salon's Justin Elliott names her as Ann Keenan, who was Romney's brother-in-law's sister. A college student described as "a beautiful, talented girl [whom] we all loved," she died at 21, in 1963 from a septic infection, a common fatality from unsafe abortion. Her parents subsequently asked for donations to be made in her memory to be Planned Parenthood, which Elliott points out was unable to provide abortions ten years before Roe, but had already had a conference "supporting liberalization of abortion laws." Her death was kept quiet in part because Mitt Romney's father was the governor of Michigan; at the time, the stigma surrounding and criminality of abortion, however induced, prevented many women from seeking medical assistance for complications. Maternal mortality would drop dramatically in the wake of legalized abortion. The Mitt Romney of 1994 wanted abortion to be "safe and legal" and attended Planned Parenthood fundraisers. (This didn't use to be poison for Republicans; ask George H. W. Bush.) The Mitt Romney of the current and most recent presidential campaigns is making an assessment based on the fact that the antichoice fringe has been sufficiently empowered to make a litmus test of a full-on abortion ban. They have successfully changed the conversation, at least in the Republican lineup. It's not about nice college girls (white ones!) dying of infection; it's about innocent fetuses in pain. It's not about support for family planning in part as abortion prevention; it's about whether only doctors should be prosecuted for performing abortions to whether the law should go after those girls too.